nDash has always been an idea-driven platform. By pitching content ideas, writers in our community have been able to proactively get a foot in the door with some of the world’s leading brands. Conversely, brands receiving those ideas have been able to find uniquely qualified writers and fill their editorial calendar with a diverse range of topics. This concept of open pitching is one of the things that has made nDash unique in this space. Recently, however, as these ideas have built up in the queue, it became clear to us that some ideas, no matter how intriguing, were not going to be a fit with a particular brand. So in an effort to help writers get more opportunities — and for brands to have a greater sense of urgency — we’ve decided to put an expiration date on the exclusiveness of direct content ideas. Here’s what it means for both writers and brand users. If the brand accepts your pitch, then there’s no change. You’ll get an email notification and the assignment will go into your In-Progress tab. If the brand comments on your pitch, then there’s also no change. You’ll see their message and can respond in the pitch message thread. If the brand saves your pitch, you’ll now get a notification (platform). This is to let you know that a brand is interested in moving forward, but not quite ready to pull the trigger. 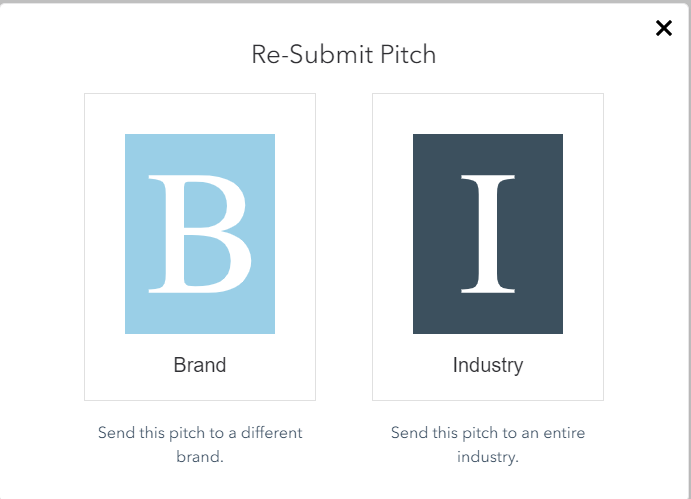 If a brand declines your pitch, you’ll also now get a notification (email and platform). This is to let you know that they’ve passed on the idea, or not taken any action within 30 days, and that you’re now free to pitch it elsewhere. More on this in a second. In Review: Direct pitches to companies that have either not been accepted yet, or that have been saved or commented on. Expired: Ideas that have been declined by brands, or that have passed the 30-day exclusivity mark. Industry: Ideas you’ve submitted to categories, which are view-able by all company users in the nDash platform. Last thing to note: As a writer, you may “take back” your idea at any time, which you can do with the delete button. What To Do With Expired Ideas? You’ve put a lot of thought and creativity into your ideas, so we don’t want them going to waste. If it’s not a fit for that brand, it might be for another. So when your ideas have expired, we now give you to option to re-submit them to other brands, or to entire industries. Just click the “re-submit” icon make your decision. It might seem small, but we’re very excited about this platform enhancement, and confident that it’ll lead to more writing opportunities for our community. Note that while these last two actions remove the expiration date, writers do have the ability take these ideas back at any time. Ideation is a huge part of a successful content strategy. We want to help make sure those ideas are on brand and on point for both writers and companies. We think this enhancement is a great step in that direction. Check it out by logging into nDash. Questions? Let us know in the comment section.